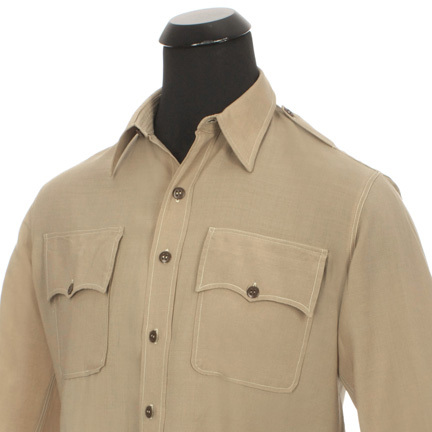 This military shirt was worn by the character, "Maj. Gen. Claire L. Chennault," portrayed by actor Raymond Massey, in the 1945 motion picture, "God Is My Co-Pilot." 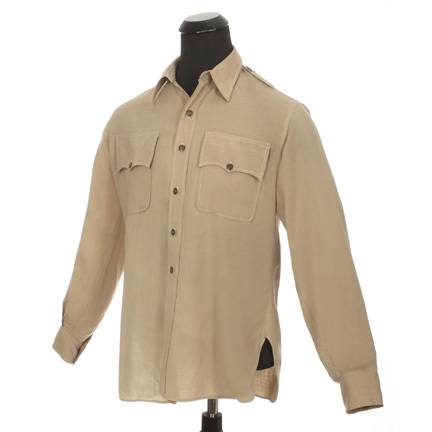 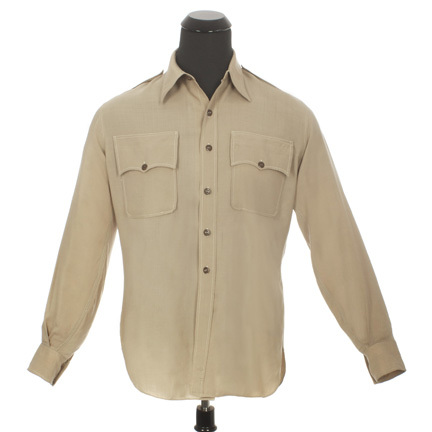 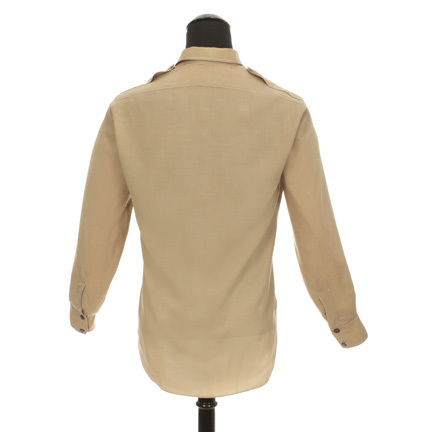 The long sleeve khaki shirt with flap pockets on the breast was custom made for Mr. Masseyâ€™s use in the production and has the original Warner Brothers label sewn inside the collar with production date â€œ8-23-44,â€� â€œProd. 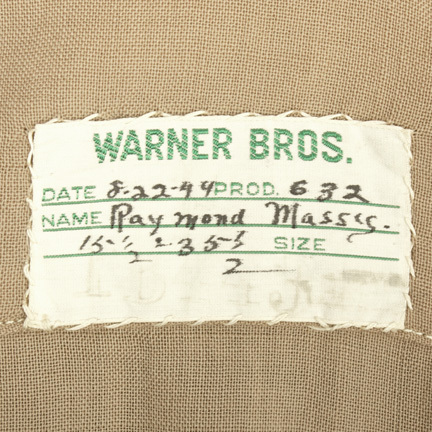 632,â€� and â€œRaymond Masseyâ€� handwritten in slightly faded black ink. 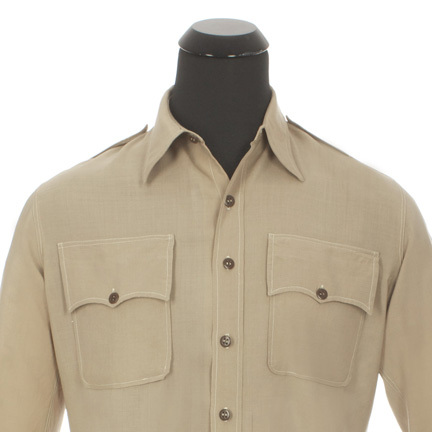 Mr. Massey wore the shirt as part of his complete military uniform in several key scenes from the film. 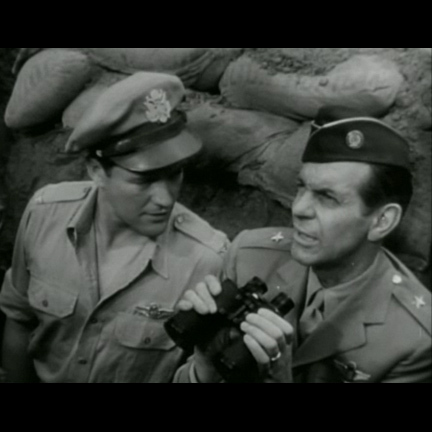 â€œGod Is My Co-Pilot,â€� starring Dennis Morgan, Dane Clark, and Raymond Massey, was an American propaganda film based on the autobiography of the same name by Robert Lee Scott, Jr. 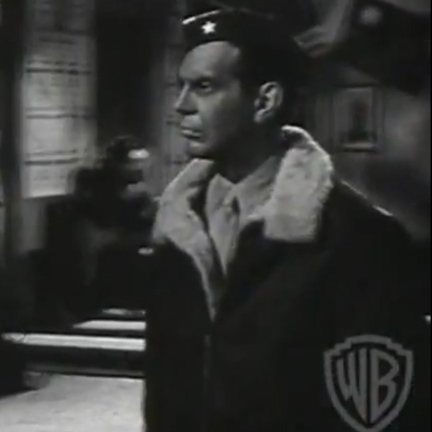 The film tells the story of Scottâ€™s association with the Flying Tigers and the U.S. Army Air Forces.